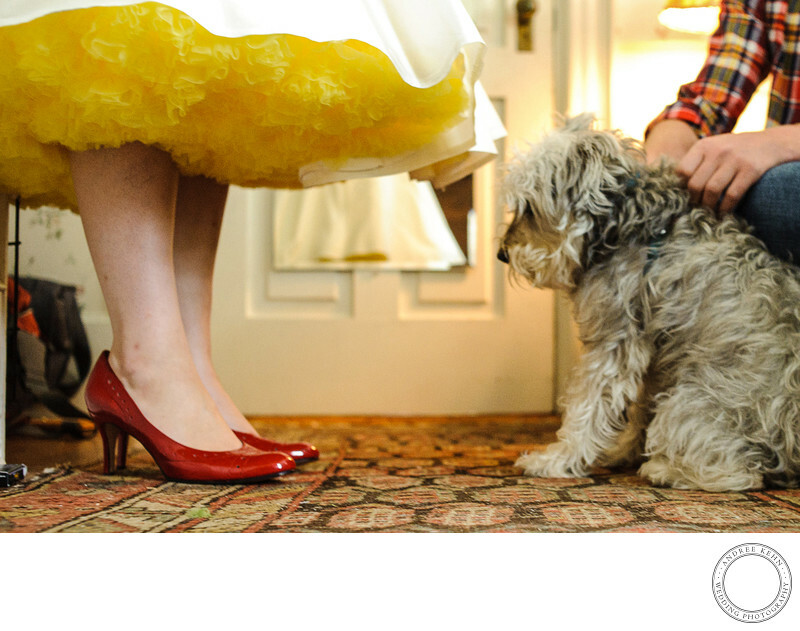 Red wedding shoes with a little toto dog makes this dress straight out of the Wizard of Oz. While this was not a wizard of Oz wedding, this shot is completely Dorothy and Toto. Not Kansas, but Maine! I love the touch of fashion and playfulness of the pose. t brings the entire image together. The groom's plaid shirt peeking in helps bring the whole wedding photo to a fun and quirky resolution. 1/100; f/3.5; ISO 2000; 35.0 mm.